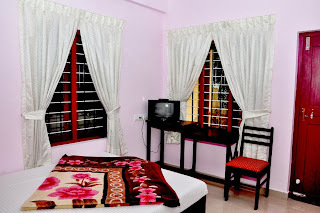 If you are looking for some good homestay in Munnar, then let’s have a look on MG Homestay. Ideally located in one of the most beautiful locations in Munnar, MG Homestay offers best accommodation facilities very close to nature. MG Homestay is in Pothamdu and has got 05 fully furnished rooms which offer excellent view towards the mountain valleys. In MG Homestay we can provide accommodation for Small Groups, Family , Couples etc.